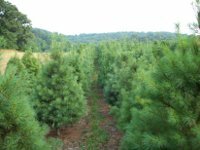 Bluebird Christmas Tree Farm offers a family-oriented alternative to mass-marketed and artificial trees. Since 1988 we have provided the freshest trees possible. We are out of trees to cut in our field and at 6 PM Saturday, December 15th, we will close for the season. As of 3 PM December 15th, we have 6 pre-cut firs remaining. These firs are 6- to 6.5-feet tall and are $60 each. We work hard to have the freshest trees in the area. The trees in the field are of course as fresh as can be. 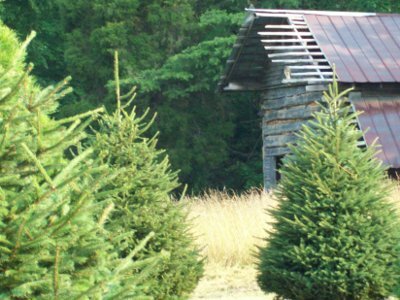 The other trees, which need a cooler habitat, are cut near Roan Mountain, Tennessee and brought to our farm. They are cut the day before we bring them in and travel in box trucks so they never travel exposed to sun or wind. We store them in the shade for the short time they are here. Our gift shop and pavilion offers a cheerful fire, hot chocolate, apple cider, and a selection of excellent local jams, honey, and handcrafted items. We take cash, checks or credit cards. Please see the “New in 2018” tab for important information regarding current inventories and changes at the farm!! We are out of trees to cut in the field and will close the farm for the season Saturday, December 15th at 6 PM.